When Winter is finally over, an exciting time begins wich has to be one of my favourite fisheries of the year. After many cold month’s there is finally light on the horizon. When temperatures start to climb, it’s good to be out there again. When daylight hours start to increase, it’s a sign for the world below the surface that things are about to change, water gets warmer, and fish move to shallow areas. Spring is getting near! Where and when Pike spawn, that’s always the question. In Holland it’s believed that spawning takes place in the month’s April and May, so that’s why the season is closed for two months. But no one exactly knows when certain events take place. It all depends on one thing, water temperature and this is a key factor that can and will vary alot in Spring. It’s not always the nice calm weather that is upon us, because many times there are low pressure area’s moving in these times of year. So it all depends on the weather if Pike will spawn or not. Generally Pike spwan from the low 40’s to the mid 50’s. So basically when the water is warm enough. 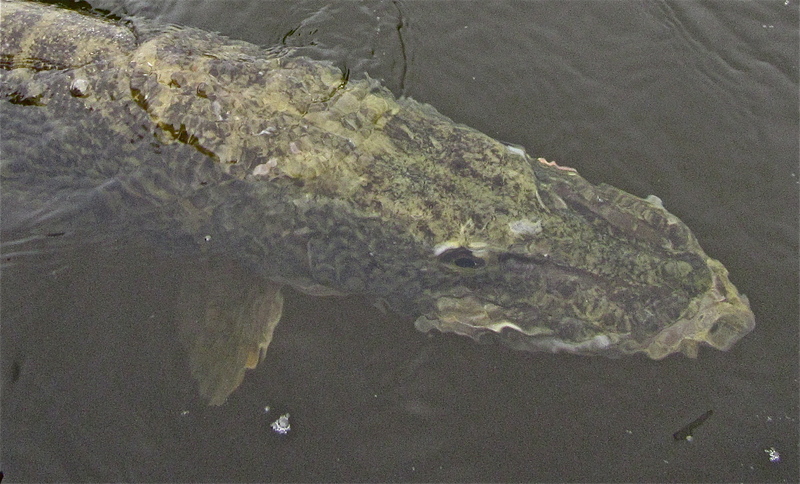 Sometimes in Winter, January or February, temperatures often climb quickly when high pressure fronts move in, and when the water reaches the low 40’s for only a couple of days, Pike in small canal systems or drains and wetlands start to spawn, simply because the water temperatures warm more quickly in these shallow water area’s and the cold winds are not such a big changing factor in places like these because they are often covered from the harsh weather conditions we face in winter. Any events that take place in January to February is called the Pre-Spawn. In some occasions it’s also known that Pike spawn under the ice, but that’s a different story. So to make things a bit easier for you to understand. Let’s say that most of the Pike spawn at the beginning of April. On every water there are two type of fish. Those who live in the shallows and those who live in the deep. In deeper water it’s often colder than it is in shallower. Simply because shallow water warms quicker than deep. So shallow water Pike spawn first right? Well they all spawn together in the same period, but where and when it takes place is a mystery each year. They say that you can exactly predict where and when Pike will be at one particulary spot because they went there last year of the year before, but I found exactly the same opposite. If spot A produced fish for you on a certain date the year before, and the conditions you fish in another year were different, they can suddenly be found in spot B or even C. So it’s all about scheduled planning when they will arrive at the exact same spot as you thought they would be. It’s something you can’t keep track on. 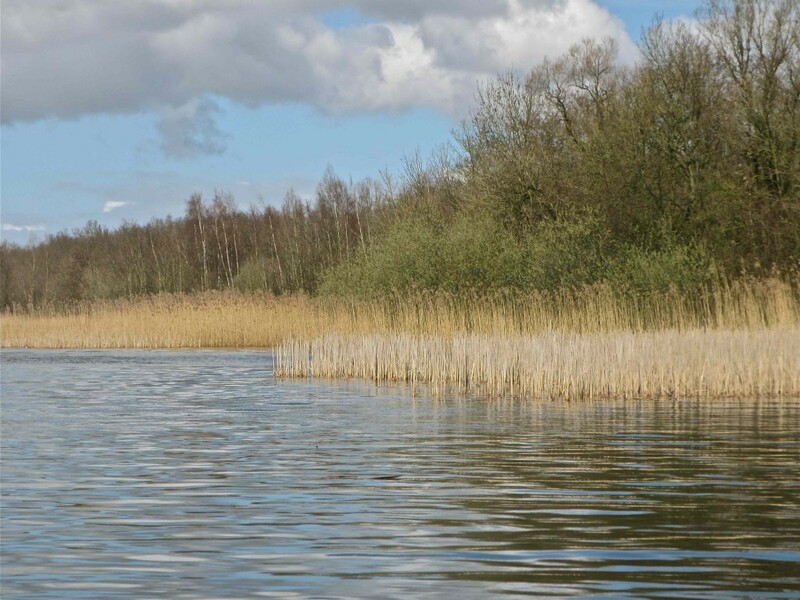 Shallow bays with reeds, perfect spawning area’s for Pike! What you can predict is where these spawning events will take place. Shallow water edges around reeds for example. These places are perfect! Often sheltered from the winds, these are the kind of places the warm early Spring sun has the most influence on. When little remainings of weeds or rocks are present in the area you’ve found yourself a key spot! Pike prefer sandy bottoms to spawn on, so when looking for certain places like these, look onto the screen of your fish-finder for a stong return, and you’ll know they might be there. What depth they are in is always tricky to say, but generally from 8 feet all the way down to around 1. In these type of year fishing can be just as great as in Fall. 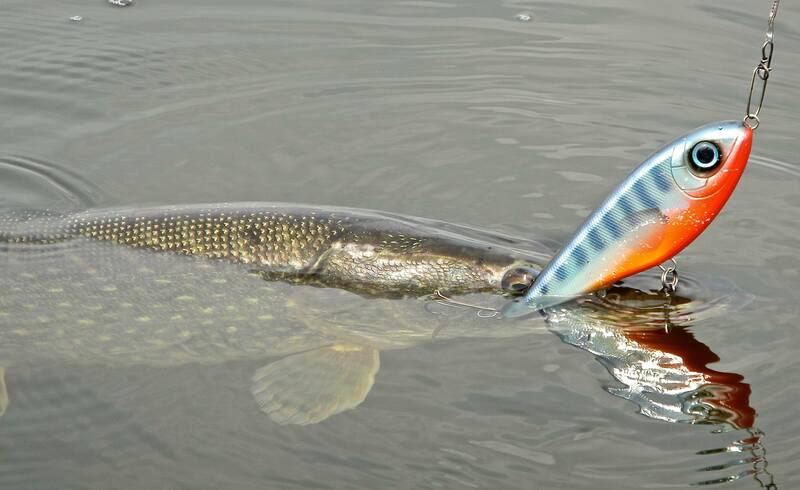 The feeding frenzy has started all over again, cause Pike sometimes want just a little bit extra food in their bellies to go into full spawning force! But how do you know in wich area Esox are present? Easy. By trolling you can get a real time picture of what’s going on down below. Moving crankbaits alongside the boat in these shallow water area’s is just a great thing to do! 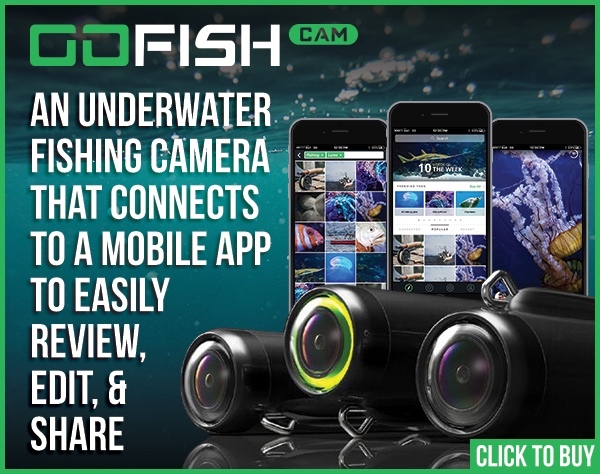 Not only because you will get alot of action, but also because eventually you will be able to follow a certain pattern or route the fish have decided to take to their spawning grounds. You can choose to use all sorts of crankbaits varying from 5 to 7 inches in length, but the ones I prefer the most are the 5” JBO Baby ShallowRaider, 7” JBO ShallowRaider, Suick Husky Cisco Kid 600 and a 6” Grandma or Jake. The type of colours I choose depends on the colour of the water you fish in. Clear water natural colours, darker water brighter colours. 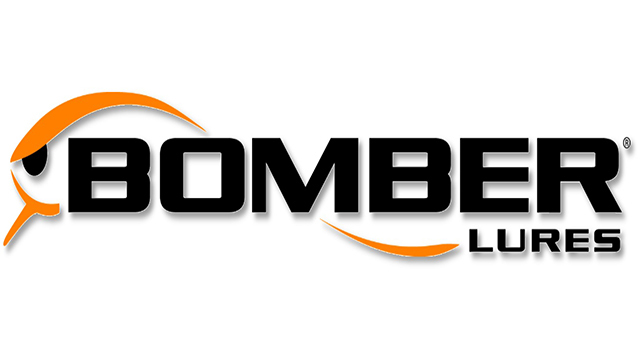 It’s as simple as it gets, but often highly effective! In the end it’s all about contrast. 5 to 7” Crankbaits work like a magnet! Once you have found a particulary pattern in trolling, and have marked these places with a waypoint, you’ll start to see a certain area where many fish are present. Again these places will vary by day, as the Pike move back and forth around and into the shallows. Let’s say you have marked 3 or 4 waypoints close to each other. You can choose to anchor up, or use your trolling motor to approach them by casting. 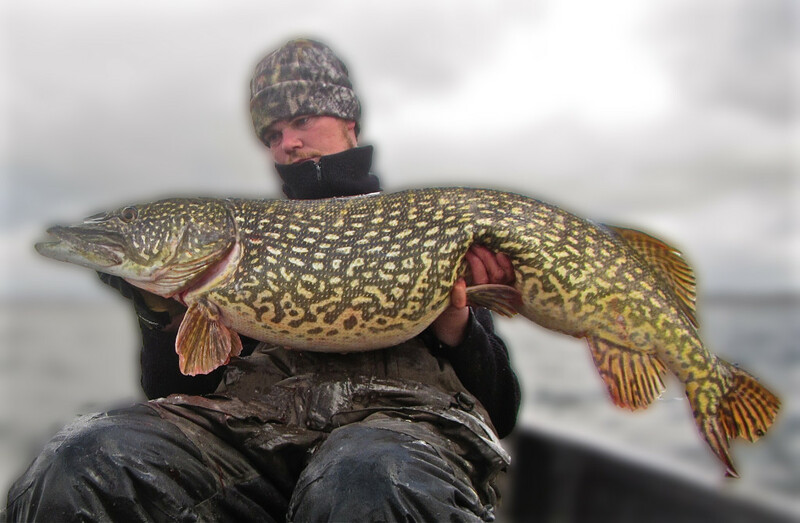 They say that big Pike don’t hang around with small Pike, but in this time of year it’s the other way around. They move up closely to one and other but where and when that’s up to you to find out! Casting can be done by using around the same type of lures in the 5 to 7” range as mentioned above. 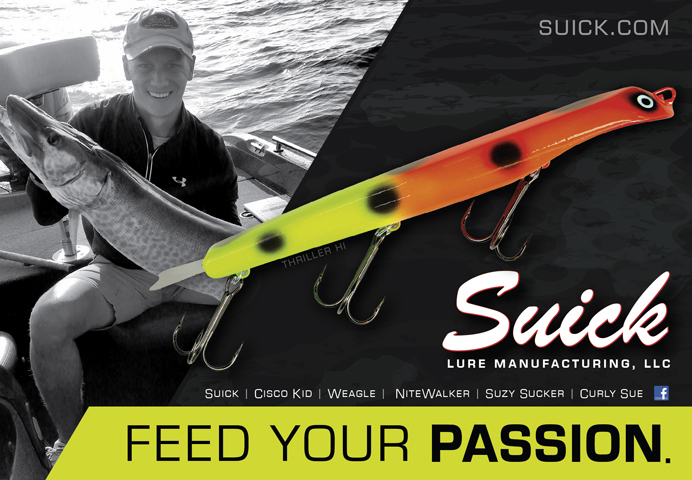 In this time of year, alot of lures can work, but I have experienced that it all depends on what the fish want that day. Gliders like a BusterJerk or a TurmoilX will do the job, just as long as they are going shallow. Softbaits such as a Pig Shad Jr. for example work wonders. Even on days that the fish are not so active these can produce a hot bite! And last but not least a Suick Thriller for when the fishing is really off. Pig Shad Jr. Orange belly perch in attack mode! Great fish on a BusterJerk! When you are fishing clear water conditions, polaroid sunglasses can be a great help. 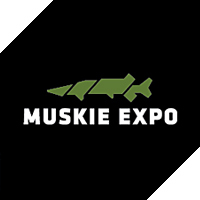 Don’t be surprised if you’ll end up seeing Pike follow your lure from a distance close to the boat. It can be very frustrating sometimes seeing even big fish coming up closely and not grabbing your lure. Differences in presentation and speed will solve this problem. 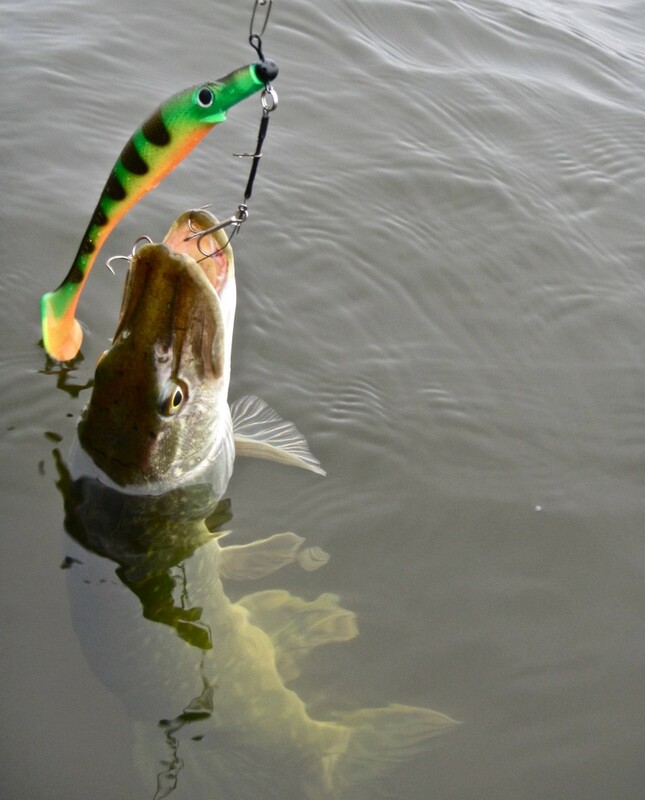 Spring Pike are often very active, and all they want is a lure that moves erratically around their faces. Speed can be a big changing factor in catching fish or not. Even when the water is cold, they cannot resist a fast moving softbait or jerkbait. I have found that when you are fishing with a Pig Shad Jr. for example, and reeling it in fairly fast, and then a stop all of a sudden, it will drive them crazy! Experimenting with different lures around your waypoints will often pay out, but variation is key in this type of year! It may take you a couple of days to find out there the Pike are hanging out, but if you stick to your little game plan as mentioned above the reward will be there in the end. 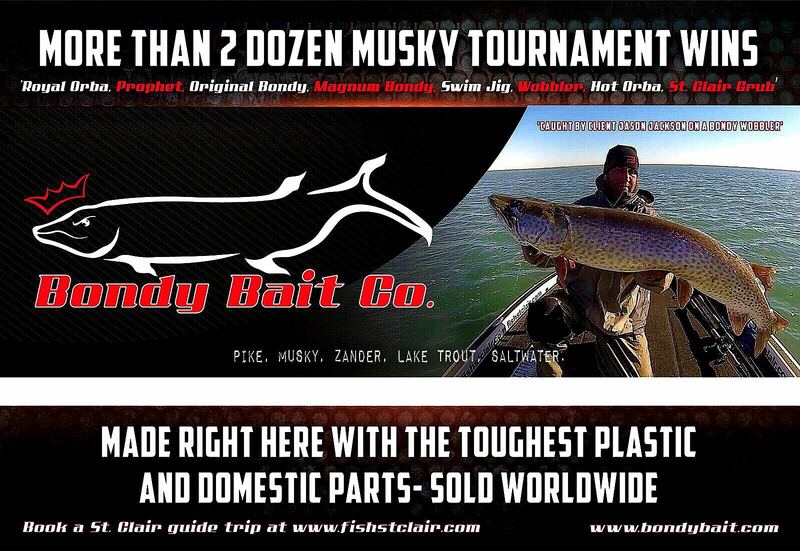 Targeting early Spring Pike fishing is all about numbers and big fish. Fat Esox full of eggs are the ones that matter the most and are often beautifully coloured! 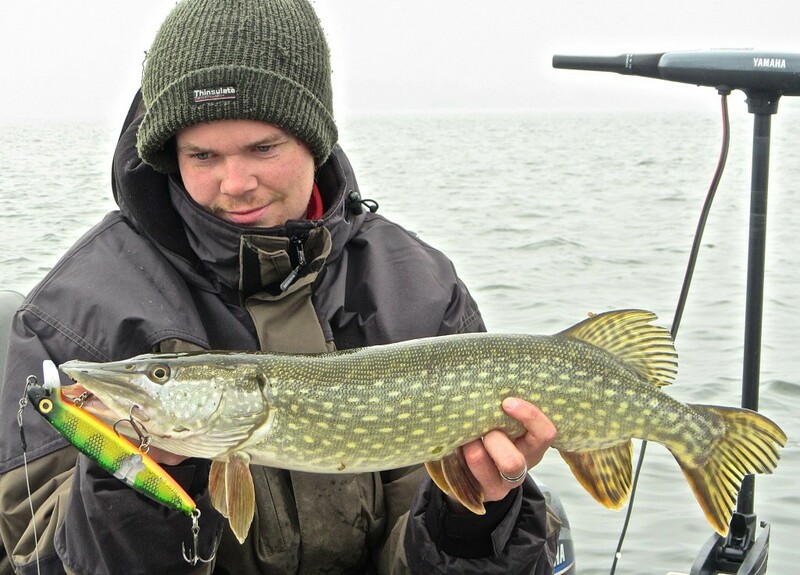 A real time chance to catch yourself a true trophy Pike! Leaning back from the camera. A True trophy Pike. 48,42” (123cm) & beautifully coloured! !